Beijing has no shortage of issues to confront. There’s the South China Sea, uncontrollable corruption, a slowing economy and factional disputes within the party and military. But Chinese officials also face one of the most difficult challenges in modern statecraft: how to conquer a myth. Despite China’s attempts to dislodge its mythic appeal, Tibet as Shangri-La seems firmly set in the world’s imagination. The once-independent nation, set high on a broad plateau adjacent to the Himalayas, is a worldwide symbol of mystery, aspiration, spirituality and possibility. World leaders remain eager to meet with its exiled spiritual leader, the Dalai Lama, who can fill auditoriums anywhere he travels. 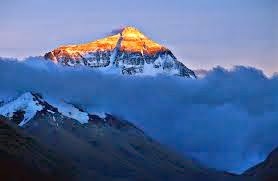 And when people around the world picture a sacred landscape, it is likely to be Tibet that comes to mind. This was not what Mao Tse-tung envisioned when he sent his People’s Liberation Army to invade Tibet in 1950. He knew the move posed a complex political and military challenge, but he hoped a quick success would secure the tiny nation for China before the West could rise to support any Tibetan resistance. Yet today, some six decades after the area was conquered, and after many years of efforts by Beijing to repopulate the area with ethnic Chinese, Tibet remains un-won. And China, usually so adroit at avoiding diplomatic reversals, has drawn global condemnation for its policies in Tibet, even while so little progress is made there. The People’s Liberation Army occupation grinds on, and the world watches as Chinese soldiers patrol Lhasa’s streets with fire extinguishers, ready to douse self-immolators protesting Beijing’s rule. In Beijing, tour operators sell tickets to Tibetan Buddhism’s most sacred religious sites as though they are part of an amusement park. At the Jokong Temple, for example, pilgrims still come from great distances to prostrate themselves each morning along the six-tenths-of-a-mile-long stone path around the temple. But Chinese tourists come too, dutifully having their tickets stamped at each stop on their Tibetan tours as they gawk at the ancient rituals. This booming tourist industry steadily drains the gravitas from Tibet’s deep socio-religious rhythms, but it hasn’t yet killed them. Beijing has poured billions of dollars money into Tibet in an attempt to shift attention from its systematic deconstruction of Tibetan culture. Though the Dalai Lama’s likeness cannot be displayed and other cultural expressions have been banned, roads and rail services have been improved. Hot water is now commonplace, and housing and schools have been modernized in the larger cities where most of the Han Chinese live. Naturally, these rapid changes have introduced tension within Tibetan society, as some seek to benefit from the ‘‘opportunities’’ Beijing presents — business licenses, municipal jobs, etc. — while others in villages across Tibet struggle to limit the erosion of their heritage. Tibetan resistance to Han culture has been paralleled over the last half a century by a deep sympathy in the West for traditional Tibet. This has introduced a new and different dimension to China’s Tibet problem. Western infatuation with the Tibetan myth has enabled Tibetans to exercise a unique ‘‘soft power’’ — the power of moral condemnation — that Beijing can neither control nor ameliorate. It is a soft power that has raised profound questions about the values that inform Chinese society and governance. Most vexing for Beijing, it has slowed China’s progress on the world stage. Global condemnation of China’s destruction of Tibetan culture is nearly universal. Events such as the 2008 riots in Lhasa during the Olympics and the horrifying self-immolations, of which there have been 126 since 2009 (four so far this year), are often reported on the front pages of newspapers. And the stories nearly always depict the Chinese occupation as cruel and repressive. This is particularly problematic at a time when the Chinese leadership is trying to emphasize to the world its progressive values, reforms and respect for the rule of law. Just as China seeks a leadership role in the World Bank, the International Criminal Court and the World Trade Organization, its prospects are clouded by the moral stain of its rule in Tibet. Since neither China nor Tibet benefit from the current policies, it is time for Beijing leaders to take a new look at Tibet. China’s ‘‘one country, two systems’’ template, though imperfect, has worked in Hong Kong. Why not extend a version of it to Tibet, granting Tibetans greater control over their domestic governance along with greater freedom of religion? China’s sovereign control of the territory, especially with regard to defense and foreign policy, would remain in place, and legal safeguards and dispute resolution mechanisms could be instituted to ensure the rights and safety of both Han Chinese and Tibetans. Even the Dalai Lama, who has called for a Tibet with greater local autonomy, is not seeking full independence for Tibet. One impetus for Beijing to consider such an option is that when the current Dalai Lama dies (he is now 78), the Tibetan leadership is likely to become more radical and confrontational. If that were to happen, China’s policies might become more repressive, which would in turn enhance Tibet’s soft power and cause global opinion to turn even more negative toward Beijing. Alternatively, if China were to grant Tibet greater autonomy, China would be applauded for finding a rational solution to a difficult problem. Tibet is one of the world's most exotic and strange travel destinations. It is a realm of magical and conceivable delights await one in every nook and cranny. For Tibet tours and packages, you can book your trip from recognized company third eye travel.